Replica of Pen-y-Darren locomotive, National Railway Museum Railfest, York, 28 May 2004 1. 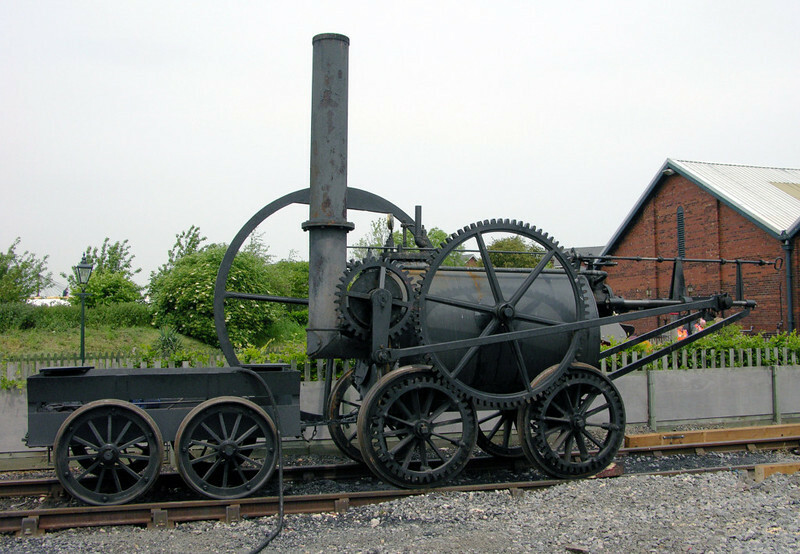 In 1804 Richard Trevithick's locomotive briefly worked in south Wales over the 9.5 mile horse tramway between the Penydarren Ironworks near Dowlais and Abercynon on the Glamorganshire canal. But it broke too many of the tramway plates and was soon dismantled.